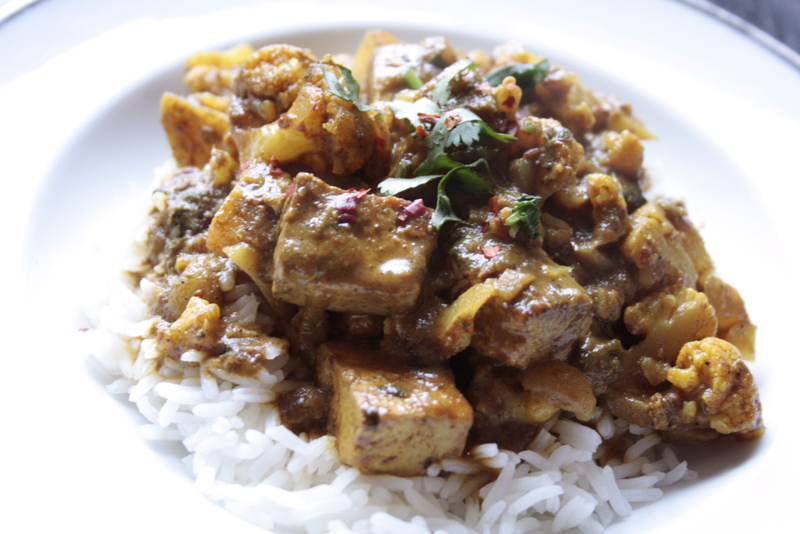 cauliflower potato and tofu curry | eating with S.O.L.E. 1 cup of heavy cream… or if you are lucky enough to have raw farm fresh milk this time of year (when the babies are just born and the milk is at it’s best) skim the super thick layer of cream off the top of the jar and use that! mmm. Simmer for 5 more minutes then serve. This dish served 4 for dinner , with enough left overs to make 2 really tasty grilled curry wraps, with the addition of some greens it made for a really nice lunch!